This unusual salad will take the center spot in any meal with its intense flavors and contrast of textures. I spotted the recipe around Thanksgiving last year, saved it to my Pinterest cooking board, and finally made it. Please, don’t drag your feet like I did, make it sooner rather than later. 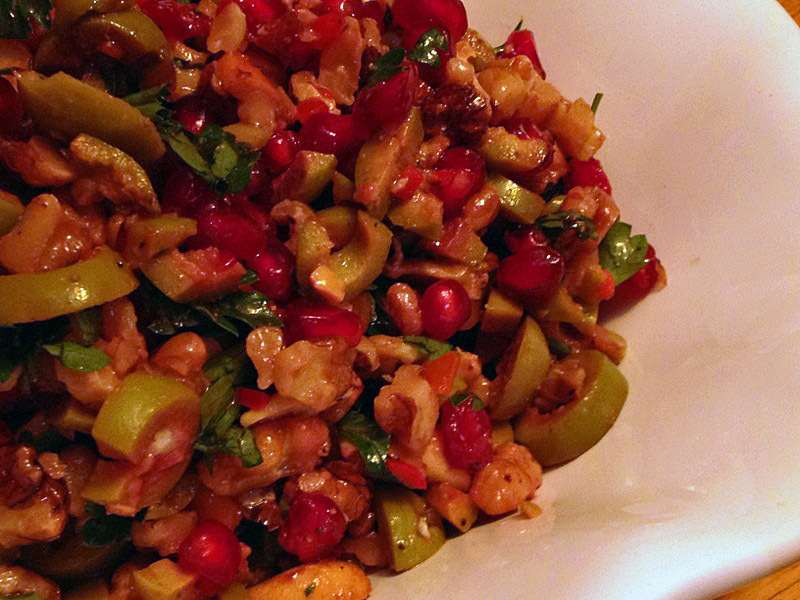 Green olives, walnuts, pomegranate seeds… What a treat! Heat the oven to 350⁰F. Scatter the walnuts onto a jelly-roll pan and roast for 5-10 minutes, until deep golden brown. 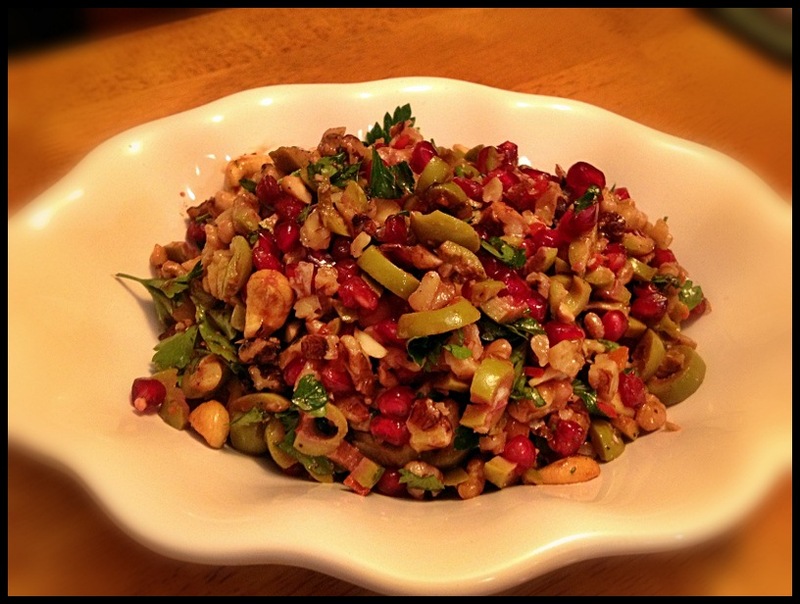 Chop the walnuts coarsely and toss in a sieve to remove any remaining skin or dust. Combine all the ingredients in a large bowl and toss gently. Leave to stand for 5 minutes or so before serving to allow flavors to meld. Taste and adjust seasoning. I ended up adding more lemon juice. Three words for you: Make this salad.